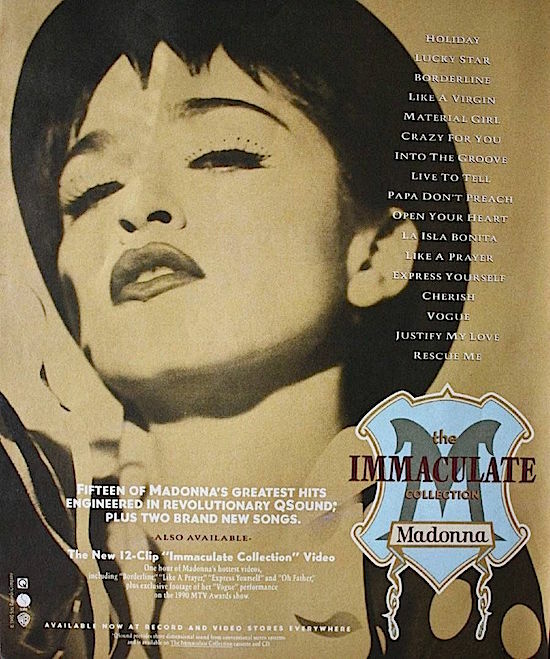 On September 5 1991, Madonna’s The Immaculate Collection won Best Long-Form Video at the 8th annual MTV Video Music Awards at the Universal Amphitheatre in Los Angeles, California. Immaculate is also a great video comp! My favorite video-Sad ballad Oh Father.